Continuing our December slew of updates from letter-writers, here are five updates from people who had their letters answered here in the past. So, unrelated to the query but something that helps with my overall frustration: I finally got a raise and a title bump to better match my responsibilities. This makes me less resentful, but doesn’t solve the problem. We also had one project completed, so those contracts were terminated. My team currently stands at 10 people. My place of work has permanent employees, contract employees and casual employees. So I asked the permanent employees and long-term contract employees for ideas about what to. The general consensus was: birthdays are awkward, but it would be weird if we stopped because it’s so ingrained in our overall corporate culture, but I shouldn’t have to do it all alone. So now it’s going to be a rotational thing so it means every permanent/contract employee will be responsible for someone else’s birthday. They will ask the birthday person what snack they want and that person will be responsible for picking it up. We didn’t set a hard budget but the understanding is the cupcakes are the default/top-of-the-line choice – you can definitely go cheaper but don’t ask for something more expensive. And no baked goods, we don’t want this to turn into a Bake-Off or have people be resentful of this becoming more labour intensive than going to a store before work. I’ll need to manage this to make sure participation is equal but that’s okay. I’ll figure out a system in time. I’m still going to handle the casual employees because they are cycling in and out, and they usually aren’t on the team long enough to fairly be asked to participate in this, but I’m okay with that. I’m the one who thinks it would be weird to not acknowledge their birthdays if it falls during their time employed with us, considering we acknowledge our other employees’ birthdays, so I’ll shoulder this for now. If is ends up not working, I’ll talk to them and see what makes most sense and change it. My submitted letter unfortunately went to print after I had already gone through with the initial interview. (Luckily for me, my ex was not in the building the day of the interview, so I was able to avoid any contact.) The interview went well and as I was being toured around the office, I pulled one of the interviewers aside and spoke with her behind closed doors about my situation. I was very matter of fact about the whole thing – that X was a former romantic partner of mine that had abused me, and that I was aware he was employed at the company, and this is something I would be keeping in mind going forward. She was very understanding about it all and promised to help as best she could. The person that would have been my director contacted me two weeks later. He was aware of the situation, and said that he was attempting to find ways around it – working in other offices, being full time field staff, etc – but that he could not entirely guarantee that I would not have contact with my ex. After a lot of careful consideration, I withdrew my application. I knew that my mental health was way more important than this, and though employment would have been great, I couldn’t subject myself to the what-ifs. Unfortunately, jobs in my chosen field were and are hard to come by at the moment, and though I was incorrect about my initial estimation of unemployment benefits (they ran out the following April, not November as I had assumed) I was still out of work until July. I got in touch with a staffing agency that was able to place me in a contract position for a wonderful company who seem to have liked me enough to keep me on projects through now, with more in the future, and I’m hoping that it will turn into full-time employment with them soon. Thank you and the commenters for the sage advice and reinforcing what I was thinking all along. Thank you so much for answering my letter! 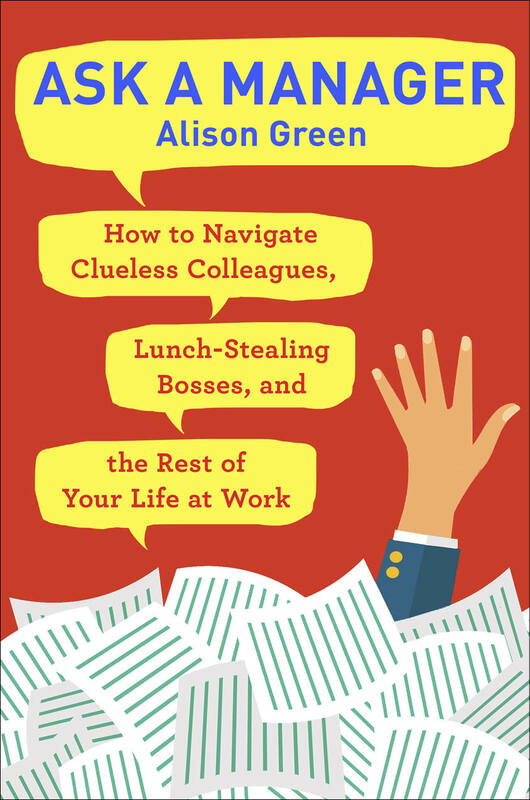 I ended up not talking to my boss, because I downloaded your book and it helped me land an interview for a new job closer to my home with better pay, better benefits, and a much more normal boss. They hired me, and my last day at my old job was…. the Thursday before my wedding. My first day at the new job was the Monday after we got back from our honeymoon, and it’s been a dream come true. Thanks Alison! I don’t have any updates on Bad Intern, but I do have some updates on Good Intern and Grad Intern (and on me)! I really appreciated your advice, as well as the advice from the commenters. This was honestly such a challenge for me since the rest of my squad of interns have been really excellent, kind, and happy to be here, as we have a unique, and in-demand, job working in the charitable arm of a for-profit organization. When my job was posted, my firm received over 200 applications, so getting a foot in the door in our industry is seen as highly desirable. Good Intern actually came back for the summer! We were so happy to have him join us, since this summer was honestly the busiest that we’ve ever been and he was able to function as a full team member. He did an awesome job, as expected, and I’m so happy to report that he has landed a prestigious internship in his field for next summer. He’s really deserving and I’m sure will be great. Similarly, Grad Intern is a total rockstar and we’re trying to help her find a position after she graduates, since she’s coming back to our city! I would probably fill an entire page listing all of the things she’s accomplished since her summer here. I’ve had a few other interns as well, who have all been universally wonderful and I am so excited to say that many are moving on to really great things. I also wanted to give a brief update on me: since this letter, I’ve been working to make sure that my interns are getting all that they can out of their time here and getting opportunities to lead and develop projects. I was honestly a bit hesitant to keep taking on interns after Bad Intern, because dealing with him took so much effort, but I didn’t think it would be fair to punish or limit opportunities for future interns because of Bad Intern. Instead, I encouraged my interns to work with others here, asked what kinds of work they were interested in, and steered them towards those opportunities. I haven’t been disappointed or ever regretted a single decision to trust my staff. I am proud to announce that I received a half-time intern this summer because he heard about the great experiences Good Intern was having and lobbied to join my department! He was a really wonderful addition to our group. In short, thank you for running my letter, and for your awesome advice! Happy holidays! I did send in an immediate update, but I always enjoy everyone’s end of year updates, so thought I’d send in mine! I wrote in mid-year about my IT department not deactivating my high-level access during a legal dispute, which eventually resolved in a small settlement and “voluntary” transition out. Thankfully, no issues arose for me due to their shoddy practices. I ended up using the settlement to take the rest of the year off to really rest, recharge, and figure out what’s next. I went back to my birth country to see family for a long visit, cooked a lot, read so many books, and got some sunshine. I’ve been working more-than-full-time since I was a teenager, so this was really weird, but very valuable. I decided IT implementation was slowly killing me and ended up taking a course to help make a career change back to client-facing charity work. Since I am (quite intentionally) transitioning from high-level ‘strategize with C-level executives’ work to frontline closer to entry level work, I really struggled with how to write a resume that wouldn’t immediately be dismissed out of hand but still showed off my skills and how to highlight experience nearly a decade old. 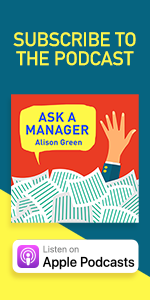 Ask A Manager archives to the rescue. And it must’ve worked because I just landed a new position I’m pretty excited about! It’ll be hard work, ‎but it’s a great entry point to get back to this kind of work and I expect to gain a lot of experience rapidly. Thanks again to you for building this great community and all the excellent commenters for their assistance too. P.S. I met up for coffee with one of my old employees a bit ago, who tells me HR/management never even passed over the transition document I wrote to my staff! Thankfully, no longer my circus, no longer my monkeys. What I like about these updates is that I learn from seeing how people solved their workplace problems. Even the questions that weren’t as wild still have some interesting updates (and it’s heartening that for many OPs their situation has gotten better one way or another). I am loving these updates, especially the ones that lead to a happy ending! Congrats and well wishes for the future to all of you! The amount of updates that have the letter writer eventually leaving the company is truly telling – toxic workplaces are rampant and usually never change! Aw, #2, it’s really too bad that it came to this but on the other hand, it sounds like the company was really understanding and helpful throughout which is awesome! Good on you for taking care of yourself/your mental health, though, and I’m so happy to hear that you managed to get to work with another wonderful company. I’m wishing you all the best and keeping my fingers crossed for that permanent position! #4, Temperance, if I’m not mistaken, thanks so much for this update! I’m finding it very special and wholesome in that you focused on your own personal growth and that of the other awesome people in your original situation. What a satisfying letter all around, it feels like a little window into you guys’s life/story/lifestory and that’s just lovely to read! It was totally me! Thanks Myrin! :) I’m really fortunate that I get to work with great people, doing something I really love and care about. Somehow I missed this was you, Temperance! I didn’t comment but I remember being really interested in the post and follow up due to our intern program here; I am glad Good and Grad intern weren’t put off by Bad Intern, were able to get something great out of your opportunity and even gave a good referral. And it sounds like you were able to get some great professional development out of it for yourself, too. Pretty awesome. I totally joked with Good Intern when he came back that we thought he would have run screaming from this place after last summer. Oh, I didn’t realize this was you. Congrats! #3 – I am so glad things worked out! #1: Thank you for celebrating the birthdays of the more temporary staffers on your team. I’ve been in that situation before, and it’s really nice to be treated as part of the team, especially when you wish you could be a full time employee, but you aren’t for whatever reason. So much this. It got to the point where if I had to design one more project labor interface for an Oracle implementation/upgrade, I would have been ready to stab myself in the eye. It is such a brutal field! #2 abusive ex – great call. No way that situation wouldn’t give you an ulcer! Agreed, there was probably no way #2 would ever be completely comfortable working there. However, I did want to say it was nice to read that at least two people at the company took her concerns seriously and tried to find a solution before they even offered her the job. Unfortunately, it seems a lot of places would have blown her off and/or written her off and just gone with an “easier” candidate. #5 – IT access, fascinating. So interesting that your transition doc made them change approach to you, but also that they didn’t even pass it along. Sounds like you made a huge change after a lot of thought. We can be so resilient and thrive in unexpected ways. They are, to use the technical term, a hot freaking mess. I worked in an office one that was similar with the birthdays being out of control and as it grew it was just too much for our director to handle – so we moved to a celebration on the 1st of each month for everyone who had a birthday that month. No one seemed to mind at all, and I think some people who didn’t like the recognition of a singular party were a little relieved. As was I (as a recovering cake connoisseur) to not have sheet cake multiple times a month that stayed in the fridge for days. Our deputy lead sends out “birth-month” announcements at the start of each month (voluntary participation, you have to tell her what month your birthday is in) and then we have quarterly socials to celebrate with ice cream/baked goods/etc. I think group socials are the way to go, especially with a group as big as ours (~60 people). #5 broke my heart when I first read it (touched a nerve I think), so I’m sooooooo happy things have worked out for you! Eventually! It was a hard, long stressful year, but it feels like I’m in an upswing! Thanks for your support. Hey Allison I sent in an update to a question you plucked from the open thread the same day the call was made for updates. I am not sure if it is in your list or maybe buried since it is not a reply to an email you answered. Totally cool if it’s not being posted but thought I would check. You’re so organized I can see you having an inbox rule for updates that this might fall through. :) I put Update: as first word in subject if that helps. I still have 56 updates left to print, so there’s a good chance it’s in that queue! But want to email me to make sure? I missed the cupcake letter the first time around so it may be too late for this but something that I’ve found works really well is to make each birthday the responsibility of the previous birthday person. It has a “pay it forward” feeling and means everyone just does it once over a year. Sounds like they’re frequent enough that this would cover your temp folks, though it doesn’t solve the problem of not wanting them to have to buy anything. Another option that works really well is to celebrate all the birthdays in one month on a particular date (first friday or whatever). You can still rotate responsibility, and it means that the food doesn’t necessarily have to scale with the number of people involved. It also gives you the option of just asking all 11 regulars + yourself to throw in $20 or whatever for the year, someone runs out every time and spends $20 on snacks, and don’t have the casuals pay. In my department it’s small enough that only two of us have a birthday in the same month. Myself and… my boss. Neither of us love attention so we do a joint rather than two so close to each other. But it’s a little weird to share a celebration with the boss. I definitely think it makes the most sense to do though. I’ve worked somewhere before where you were responsible for your own birthday. That way if you didn’t want attention, it stayed private. If you did want a work birthday, you got your choice of snacks. I think people would be amazed at how many of us would opt out of workplace birthdays if given the choice. I’ve always loved this option and recommended it to people in other offices. I’ve heard that it’s really common in the UK. Some years I am all about some attention and bring in something I love, and some years I’d rather not get that attention and don’t bring anything. It’s great because not only does it make it fair to everyone, but you get exactly what you want and can change your mind from year to year. Same in our office. People bring treats if they want on their birthday or shortly after, put them in the kitchen and let colleagues know about it. First come first serve and when everything’s gone, it’s gone. How’s about just stppping the birthday celebrations altogether? I work for a 30 person company and we are constantly bring asked to chip in $10 for birthdays. #3, I’m so glad you got a great new job! I hope you enjoyed the heck out of your wedding and honeymoon. #1, the way my office handled this was to have each person take care of the next birthday in line (so, I was in June; the next birthday was early July, early July handled late July, etc.) This worked out well for us, though we were a fairly small office, too! 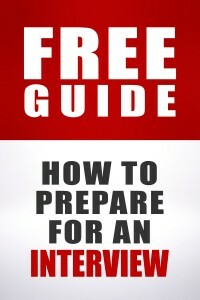 Why writer 4 leave the good job working with important person to be entry level person? This is very bad and makes him seem no ambition and lazy. Important people give you help with your career and your life. I am not American person so I do not understand. I think you mean me? I am also not an a American person. My “important” job was making me sick and miserable and was no longer satisfying. My lower-level job is rewarding, demanding, and so, so important to the recipents. And it leaves me lots of time for my side business. I am many things, but lazy sure ain’t one of them! I suspect that this poster is Chinese. I’m American, but I work in Asia. In mainland China there’s definitely an ethos of “Western workers are lazy, and they way we’re going to beat them is to out-hustle them.” Rank and file Chinese workers in white-collar jobs will routinely work 12-14 hour days, and not just in industries like finance/consulting. The idea of voluntarily taking a demotion that takes you out of the C-suite would be anathema — it would cause you to lose face. While it wouldn’t entirely surprise me to see some of this change as the Chinese economy matures, this is probably where the poster is coming from. Burnout. Some jobs can destroy you physically and mentally. Even in the best of work environments, energy- and mentally- intense jobs can drain your resources. Throw in on-call, which IT often is, especially in smaller places, and you can be demolished inside and out. And even when high skill/experience is involved, some places don’t even pay what that much effort is worth! But we still need money to live. So a quieter, gentler job, maybe encompassing another area of interest, is an answer to both problems. And if you choose, you can often move back to higher level jobs later if you wish, as long as you can present it convincingly in the cover letters and interviews. At one of my jobs the boss buys a card to pass around and the entire staff signs it. I enjoy receiving just the card and reading everyone’s messages. (A card is passed around for everything: weddings, illness, deaths of family members (even for the death of a coworkers cat!). If you want more recognition on your birthday then you bring your own desserts and snacks to share. RE: birthday treats – I don’t recall if I posted this to the original letter or not. But in my office everyone brings in treats for their own birthdays. This can range from donuts (cheapest thing really) to bagels, to homemade or store bought cookies or cake, chips & salsa, etc. Someone once set up a waffle bar even! If someone doesn’t want to participate no big deal – if you forget, no big deal. You aren’t relying on a coworker to remember to pick up a treat on your birthday.